*If you are viewing this site on a cellphone, please go to the bottom of this page and choose "View web version" to see all available pages. The idea for Art Lab came about when I had a visit from fellow creative-minded person, Brenda Wood, in December 2014. Since 2000, I had been working out of a studio/retail space attached to our home in Diligent River. 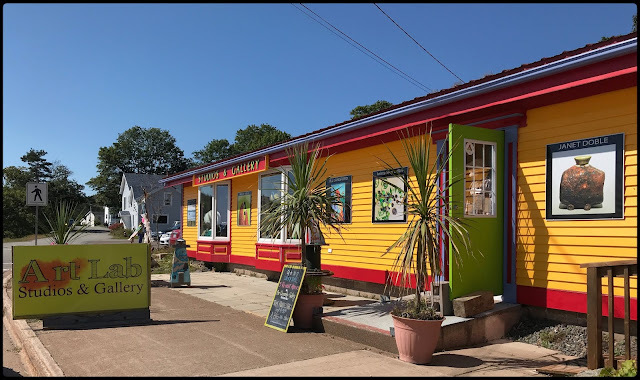 Before that I had a small studio shop for five years in Parrsboro. 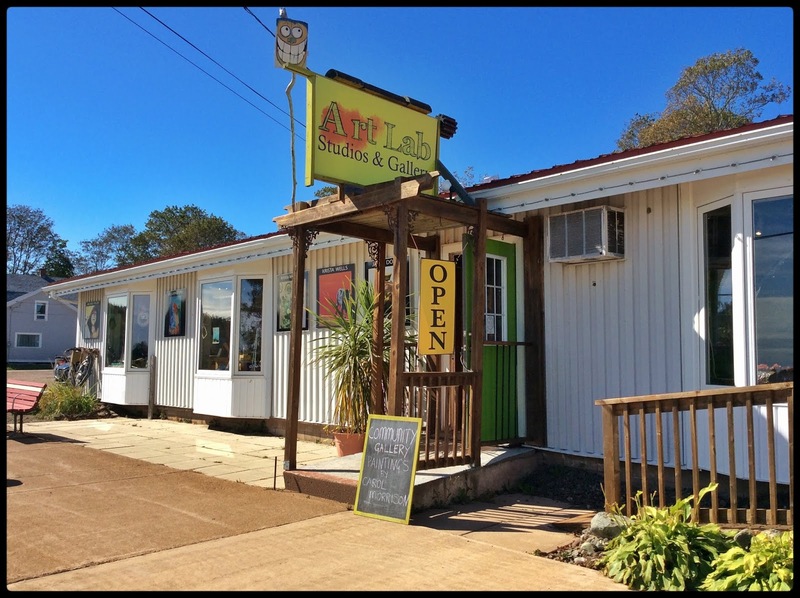 Art Lab had a facelift in late summer of 2018! This is what we looked like before surgery. Brenda dropped by to check out my studio because she too worked from a studio at her home and wanted to see my set-up. Over a glass of wine, we got talking about how it can be hard to avoid household distractions/chores when you work from home. I remembered the benefits of having a space away from home and thought it might be a good idea to try it again. 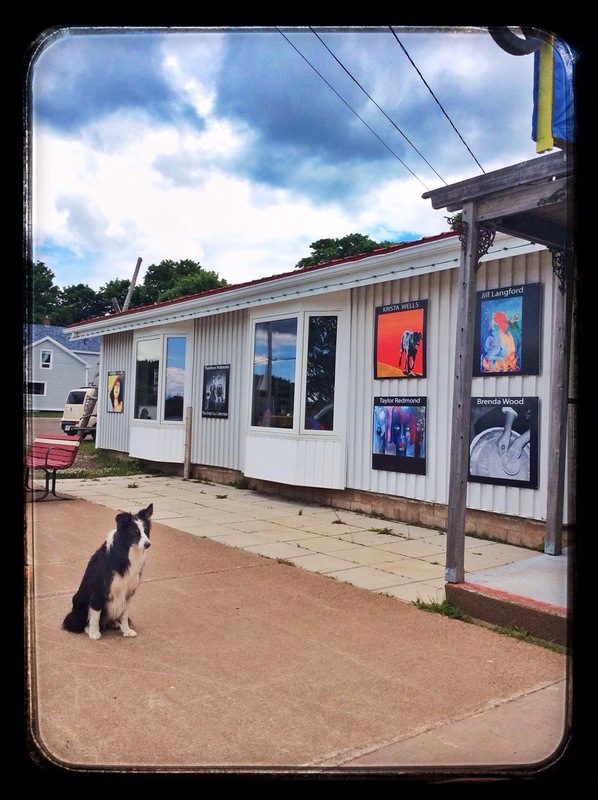 Brenda was game to try it too so I suggested we share a small space in Parrsboro. From there it snowballed. What if we invited a few other artists to join us? We could share the space, the schedule, the ideas, the costs, the workload. We could create a space to work in and to exhibit and sell our work, a space that is also welcoming to anyone else who would like to be creative. We could hold workshops, have a place to relax and hang out with like-minded people. What could go wrong? Well, so far, nothing! We formed a loose co-op of six of us. The originals were Brenda Wood, my fella Michael Fuller, Jill Langford, Taylor Redmond, Krista Levy Odlin, and I (Krista Wells). The Ship's Company Theatre also joined us for a summer-long exhibition of photographs by Thaddeus Holownia, in celebration of the 30th anniversary of the theatre. We had our first meeting in late April, tossed around ideas, looked at potential spaces, chose one, did some renovating, and opened on June 20th, 2014. Easy peasy! 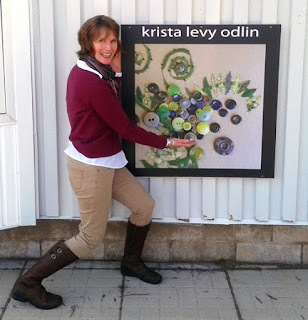 The only hiccups at the beginning were that Krista Levy Odlin got sidetracked by life and wasn't able to join us. But she's with us now. Yay! Brenda managed to hang in for a couple of months until her full-time job and commuting wore her down. Regretfully she had to withdraw. Taylor has been consumed by her focus on turning Parrsboro's Main Street into a thing of beauty and art. It's a job and a half and she is doing fantastic work. But because she hasn't been able to carve out any time to do her solo creative work, she has taken a back seat at Art Lab, helping us on things behind the scenes for now. With any luck she will be able to re-focus on her own art and join us again. And now (May 2017) we have a new Resident Artist: potter Janet Doble. Janet spent last summer with us as a visiting artist and now we've all agreed that she just can't leave! So that's it in a nutshell. Nutty, huh? No business plan, just a desire to be creative, share with the community, and trust that we can make it work. I hope to see you here sometime. P.S. If you're a creative sort and are interested in joining us, have a look at the options on our Join Us page.